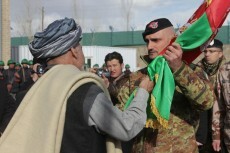 The Burke Chair circulated a report in early January on Transition in Afghanistan. We have since received extensive comments and the revised edition is being circulated in final draft form before becoming a CSIS E-book. This report is entitled Transition in Afghanistan: Losing the Forgotten War? It is available on the CSIS web site at: http://csis.org/publication/transition-afghanistan-losing-forgotten-war. The report focuses on the lessons that need to be learned from of the US experience in Afghanistan to date, and the problems Afghanistan faces now that most US and allied combat forces have left. It builds on more than a decade's worth of reporting and analysis of the Afghan war. It examines the recent trends and problems in Afghan governance, the trends in the fighting, progress in the Afghan security forces, and what may be a growing crisis in the Afghan economy. The report asks serious questions about the problems that are arising from the lack of political unity of the country and the problems in the effectiveness of its government. It provides a detailed analysis of the problems resulting from the recent election, a growing Afghan budget crisis, and critical problems with power brokers and corruption. The report indicates that the military situation is far worse than the US Department of Defense and ISAF have reported, and provides detailed graphs and maps showing the real risks in the current security situation. It also provides a detailed analysis of the problems in the Afghan National Security Forces (ANSF) and the limits in their capability, as well as the weaknesses in past and planned US and allied force development and training efforts. The report suggests that President Obama's insistence on rapid cuts in the US advisory presence and its near elimination by the end of 2016 could cripple the Transition effort, and that a large and longer conditions-based effort may be critical to success. A similar analysis is made of the Afghan economy and what seems to be a developing crisis as aid and military spending are cut, narcotics become an even more critical part of the economy, and the Afghan government takes on roles formerly managed and funded by foreign donors. Detailed graphs and tables show the scale of the problem drawing extensively on work by the World Bank, IMF, and Special Inspector General for Afghan Reconstruction (SIGAR). The final chapters broaden the analysis to examine the challenges posed by Pakistan and Afghanistan's other neighbors, and the need for new US strategies in dealing with Central Asia and South Asia. Key charts and tables illustrate the rising level of violence in Pakistan, the problems in dealing with Central Asian states, and US policy priorities in South Asia. In the process, the report raises key questions about the need for strategic triage, and US priorities in Afghanistan and the region relative to other US strategic interests and requirements. Taken together, these analyses strongly indicate that that if the US feels that Afghanistan has the necessary strategic importance for US efforts to ensure that Transition can succeed, the US needs to take a far more realistic approach to military and civil aid and supporting the Afghan government. The current deadlines, manpower levels, and aid levels have been set without a realistic assessment of Afghan needs and the risks Transition could fail. Success requires a conditions-based approach to manning the advisory and combat support levels, a more extended period of aid, and far better plans for funding and managing the aid. Anthony H. Cordesman holds the Arleigh A. Burke Chair in Strategy at the Center for Strategic and International Studies and is a national security analyst on a number of global conflicts.